Goods & Services Tax (GST) is one of India’s biggest tax reforms since independence. It will subsume virtually all indirect taxes levied by state and central government and make a significant impact across industries. The need for GST has been felt since under the existing indirect tax structure 1) tax barriers have fragmented the Indian market 2) cascading effects of taxes on cost have made indigenous manufacture less attractive 3) complex multiple taxes have raised cost of compliance. The imminent implementation of GST is expected to result in greater transparency, an improved flow of credit and reduced trade barriers from a tax perspective. Removal of tax barriers with seamless credit will make India a common market leading to economies of scale in production and efficiency in supply chain. Removal of cascading effect of taxes embedded in cost of production of goods and services will significantly reduce cost of indigenous goods and thus promote ‘Make in India’. Integration of existing multiple taxes into single GST will significantly reduce cost of tax compliance and transaction cost. A stable, transparent and predictable tax regime will encourage local and foreign investment in India creating significant job opportunities. Thus, it’s widely agreed that GST will usher in a series of changes to how businesses will operate and the retail industry will be no exception. So, how will GST shape the retail industry? Now, retail business in India is a key pillar of the economy, accounting for about 10% of GDP. The Indian retail market is estimated to be more than US$ 600 billion and one of the top five retail markets in the world by economic value. 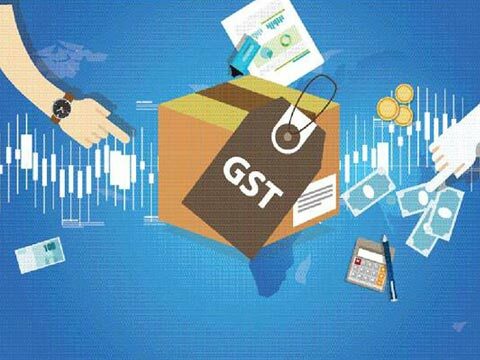 I think, the passage of GST is seen as a very favorable development by retailers headquartered in India and by global retailers considering expansion into India. The move is seen as business friendly and a step towards making it easier to do business in India. As the industry inches towards GST, there is an urgent need to re-evaluate the key strategic decisions that will be impacted on implementation of GST. Reduced taxes – In the current tax structure, most retail products are subject to 30% indirect taxes on an average. This includes excise duty, VAT, CST, service tax on warehousing, consulting and rent, Octroi and entry tax. The foremost impact of GST on retailers will be a significant reduction of the tax burden on retailers. GST will streamline everything into one single tax so that it will be easier for the retailer to understand the taxation and to pay it in one shot. Seamless input tax credit – In the existing tax regime, input tax credit is available on VAT but not available on service tax and import duty. In the proposed GST system, there will be set off on taxation starting from producer’s point to the consumer point. GST will make an impact by eradicating the bucketing of taxes thereby reducing the total tax burden on the retail sector. Increased supply chain efficiency – Since the retail business can be carried out in every state upon single registration, retailers will not have to maintain warehouses in every state and this will be very beneficial regarding cost to the retailer. The transportation industry will flourish as they will be able to carry more goods from one state to another. The lead time will also reduce in transporting goods as inter-state boundaries will become free-flowing. GST will help the retail sector become more efficient in their operations. Tax on gifts and promotional items – In the new GST model, any supply without consideration will attract tax and therefore, everything will have to be accounted for. Retailers gave out gifts and promotional items with products as a part of their overall marketing strategy which till now used to be tax-free. However, when GST gets implemented, no such rule will be applicable and retails will have to pay taxed on gifts and promotional items therefore, letting them to re-think their promotional strategies. Growth of retail market - GST will lead to the unification of markets as it will streamline the state and the central taxes and eliminate confusion of taxation in different markets. Retailers can easily expand their business beyond boundaries as they have to register their business only once and then can carry operations across all states. This will also contribute toward the growth of the retail market and help boost the economy of the country. Better business strategies - GST will force retailers to re-evaluate their supply chain strategies and re-sculpt their network as it will open a lot of doors and opportunities for retailers to expand their business. It will give them the freedom to draft better business strategies and implement it for further growth of the retail sector. Reduce complications - Retailers will be able to carry out their businesses with more ease as taxation and other policies will be streamlined under the new GST rules thereby saving them time and energy to focus better on their operations. a. A business currently has to get VAT registration from the State’s Sales Tax Department. With GST in picture, the procedure for GST registration will be centralized and unvarying. Multiple VAT registrations across states will not be a prerequisite, one GST registration pan India will suffice. b. Currently, VAT registration and VAT payment is compulsory in India once a business crosses yearly earnings of Rs.5 lakhs in some states and Rs.10 lakhs in a few other. After GST, businesses with revenue of less than Rs 10 lakhs per annum will not have to index for GST nor collect GST again. c. Today, tech giants ‘stock transfer’ goods from one state to another since they have logistics and infrastructure capabilities thus, escaping paying taxes on inter-state transfers and movement. Due to limited resources and infrastructure, SMEs and startups aren’t able to do this and they get goods through inter-state sales consequently having to shell Central sales tax. GST will bring parity between small players and big corporate houses and since it diminishes multiplicity of taxes, compliance costs should also plunge along with logistic inefficiencies, slow transit times, red tape and disruption in business climate. When it comes to sourcing of goods, GST will bring elimination of tax barriers for procurement of goods on an inter-state basis. Similarly, GST will also reduce non-recoverable import duties on procurement of goods from outside India. Retailers have an opportunity to re-evaluate sourcing pattern of goods and may try to benefit from tax neutrality and economies of scale by centralizing procurement from best vendors, irrespective of their locations. Also, retailers may have to negotiate/discuss pricing policy of its suppliers in view of enhanced credits that may be available to suppliers in GST regime. The impact of GST on retail sector will be extremely constructive from both taxation and operations point of view. Retail industries will have to re-assess their current supply chain strategy and re-model their network. Supply chain network design will be a critical activity for the retail industries as it offers the opportunity of cost saving in tune of 1% – 1.15% of sales. Under GST, businesses will flourish further contributing to the growth of the retail industry and in turn the economy. Businesses will be able to execute their trades without any deterrents, at liberty and be able to expand into various states without having to worry about additional costs. The article has been penned down by Dr. Somdutta Singh, Co-Chair NAASCOM Product Council, is an Indian entrepreneur, angel investor, Nasscom 10K, Microsoft and Target Accelerator mentor. She is currently the Co-trustee and Director at Centre for Entrepreneurial Excellence (CEE) while also being the Founder & Chief Marketing at Unspun Group, one of India’s first technology-based marketing company based out of Bangalore.